The Humane Society of the Treasure Coast is officially the only open access, no-kill animal welfare organization operating in Martin County. With 3,000 animals being rehomed annually through aggressive adoption programs and other services, HSTC has joined leading shelters around the state and country as a model organization for lifesaving culture change in its community. Continue reading here to learn how the Humane Society of the Treasure made its "no-kill" dream a reality. The Best Friends Animal Society’s "Best Friends Network" is the largest network of shelter and rescue groups committed to achieving a no-kill America by 2025. HSTC aligns our own no-kill mission based on the information and definitions provide by Best Friends. What does it mean to be a "No Kill" community? A no-kill community is one that acts on the belief that every healthy, adoptable dog and healthy cat should be saved, and that its focus should be on saving as many lives as possible through pet adoption, spay/neuter, trap-neuter-return and other community support programs rather than achieving a specific numerical outcome. With that said, we understand the importance of having a quantitative benchmark that communities can use as a goal. Saving 90 percent or more of the animals who enter shelters is the current benchmark for no-kill. This means that for a community to be considered “no-kill,” all of its shelters and animal welfare facilities responsible for animal control intake must be saving 90 percent or more, collectively, of the animals who enter their system. What does "No Kill" not mean? “No-kill” has become an emotionally and politically charged term for many people, which is why it’s imperative that, as a no-kill advocate, you understand what no-kill doesn’t mean. Each community is collectively responsible for its decisions regarding homeless animals and for creating safe, humane environments for the people and pets who live in them. Key Terms to Understand "No Kill"
Before you can properly assess operations in a particular shelter, you need to know how certain terms are defined and used. Unhealthy/untreatable animals: This category includes dogs with severe behavioral challenges or dogs and cats with medical issues who are irremediably suffering with no possibility of a positive outcome. Euthanasia: Defined purely as an act of mercy, euthanasia should be reserved for dogs and cats who have irredeemable medical situations and are experiencing serious and irreversible reduction in quality of life, or dogs whose behavior obstacles make them unsuitable for rehabilitation. Killing: The definition of “killing” is ending the life of an animal who is healthy or treatable (either medically or behaviorally) as a means of creating space for incoming animals in a shelter or for other considerations. The ASPCA has promoted the Five Freedoms as an essential part of humane animal care across all areas of the animal welfare sector. HSTC embraces these tenants daily as part of our animal care philosophy. The welfare of an animal includes its physical and mental state and we consider that good animal welfare implies both fitness and a sense of well-being. Any animal kept by anyone, must at least, be protected from unnecessary suffering. As our commitment to developing a no-kill organization and community, we embrace the following components considered key to achieving this goal. We have incorporated these elements of the no-kill equation along with the five freedoms for years and have strategically grown our programs and services to achieve our life-saving goals. We worked with community leaders to pass TNR in Martin County in November of 2017. Since January 2018, we have partnered with Martin County Animal Services to save the lives of 299 cats, and have returned them to their community or field after being examined, spayed, neutered, microchipped, vaccinated and ear tipped. We also treat the cats for fleas. We also collaborate with local organizations and individuals to provide TNR for community cats and we will be expanding this life-saving program in 2019 and 2020. 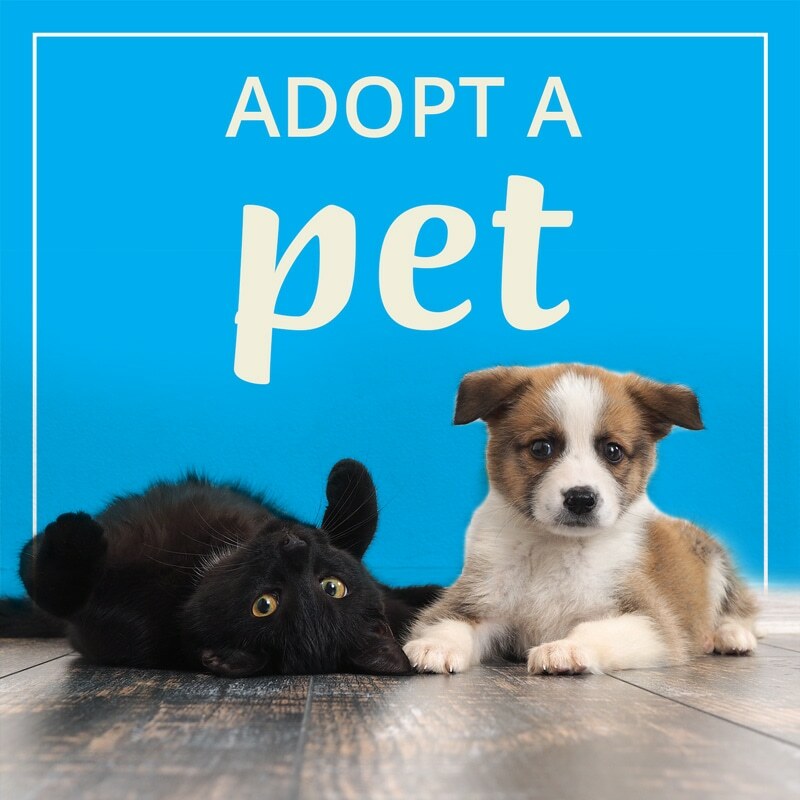 We have the most progressive adoption programs in our area including daily off-site adoptions at seven locations in our area, low cost adoptions, no cost adoption weekends, holiday specials, senior animal and special needs adoption programs. In 2018, we adopted out more than 2,200 animals into loving homes, the record sixth consecutive year of over 2,000 adoptions annually. We provide the only seven-days-a-week high-volume, low cost/no cost spay-neuter service in Martin County and along the Treasure Coast. Surgery takes place in our spay-neuter clinic at our adoption center in Palm City and is overseen by the most experienced spay-neuter veterinary staff in our region. With more than 20,000 surgeries completed since 2013 — between shelter animals and owned animals — we have now expanded our service to include TNVR for community cats. We partner with more than 40 rescue groups located throughout South Florida and the Southeast. Every year, hundreds of animals are transferred to our rescue partners, and we also take animals that may be in danger of being euthanized from other partners as well. We offer a menu of discounted services to our rescue partners including spay/neuter, vaccination and other packages. These relationships are vital to our commitment to maintaining a no-kill community and we hope that all rescue groups in our area will join us in this effort. It does take a community to make it happen! Every year, we foster over 1,000 animals into temporary home care in our community. Our foster volunteers and foster network take care of animals that may have minor ailments, such as upper respiratory infections, kennel cough, injury, or eye infections. Some animals are shy and need socialization, there are young kittens that need bottle feeding, mothers and puppies, and many other situations where the best place for the animal is not in the shelter but in a home where they can recover, get healthy and then be placed for adoptions. We are expanding our efforts to help keep loved pets in their current home. We offer low-cost spay neuter services, microchip clinics, pet food assistance in partnership with other nonprofits, behavioral recommendations, and so much more. We are here to help people and their pets. Often, the issues pet owners face are easily fixed — and we can help, allowing them to keep their pet rather than rehome it or admit it to our shelter. We operate a shelter clinic on site, along with an isolation ward, to treat sick or injured shelter animals. We have veterinarians working seven days a week at our shelter, including our head veterinarian who is a shelter medicine specialist. We work with local veterinarians who specialize in specific areas of veterinary medicine to provide care. We also have relationships with emergency clinics and other local veterinarians so we can always insure the best possible pathway for care is provided. We also work with professional certified behaviorists, consult veterinarian behaviorists, and we have a fulltime trainer and behavior specialist on staff. Our entire staff undergoes annual training regarding animal behavior, attends conferences and workshops, and we have dozens of volunteers who participate in these programs. We have a robust relationship in our community with over 700 volunteers and thousands of donors and supporters working with us to provide quality care, results-driven programs and most important, saving as many lives as possible. Our education workshops, pet therapy presence in schools, more than 24,000 social media followers and our partnership with many of the leading nonprofits in our community that provide human services help us achieve our mission every day. With 700 volunteers contributing more than 100,000 hours of service, we have one of the most dynamic and dedicated volunteer teams in our community. Volunteers are involved in all areas of animal care including cat care and socialization, dog walking, spay-neuter intake and recovery, fostering, off-site adoptions, transport and more. Volunteers also work at our thrift stores, at special events, and in customer service, and we have over 100 certified pet therapy volunteers working throughout our community. We have one of the most aggressive and results-driven return-to-owner programs in our state. Fifty percent of the stray dogs and close to 6 percent of stray cats are reunited with their owners, well above the national average. When reuniting unaltered strays with their owners we offer spay-neuter surgery as well as information designed to prevent the same situation from occurring again. Effective leadership has been a critical component of our story through the years. Combining vision, compassion, education and transparency with sound fiscal policy has resulted in an organization that has met the no-kill challenge and is poised to continue to grow as a force for progressive animal welfare in our community. Our board of directors, management team, staff and volunteers will continue to work together with our community partners to insure that our nonprofit organization will constantly seek innovative opportunities to provide results-driven programs that save lives and affect our community. © 2018 Humane Society of the Treasure Coast, Inc. All Rights Reserved.